Whether you are starting a new business, or building an online presence for your offline establishment, you will need to make that all important decision to choose an e-commerce platform which would be right for you and your business. Doing so can be a bit trickier than the newcomer may think because there are quite a few little details that you should consider before committing to any particular platform. In order to make sure that you make an informed choice instead of giving in to marketing gimmicks, we have listed the best e-commerce site builders in business today. When a single company holds roughly one-fourth of the entire market share in the world, you know that you are dealing with the big fish. Targeted mainly towards the big boys, Magento is particularly suitable for large enterprise-grade businesses, rather than small startups. Unlike Magento, BigCommerce has something for businesses of every size. The best part about BigCommerce is the fact that the system is easy to use and access for just about anybody. You don’t need to know coding to use their platform because they have so many built-in tools to take care of that. Free themes work and flow just as well as the paid ones. With over 377,500 e-commerce sites using the company’s service, Shopify is one of the biggest names in the game. Meant especially for businesses that do not rely too much on customizations and for beginners who would rather stick with a tried and tested methodology for the time being, Shopify could be a good choice. 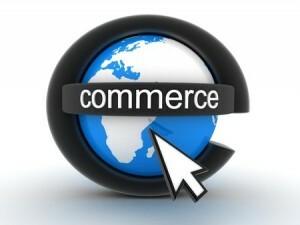 In spite of their respective pros and cons, these are the top three e-commerce sites at the moment. If the store which you are planning to open isn’t necessarily a particularly big one, it’s very hard to recommend Shopify over BigCommerce. Magento on the other hand, is the best choice if your business has the size and you have the budget to afford their services.